Expertly handcrafted in Cheaney & Sons’ historic Northamptonshire workshop, these classic Chelsea boots are a prime example of exquisite British workmanship. 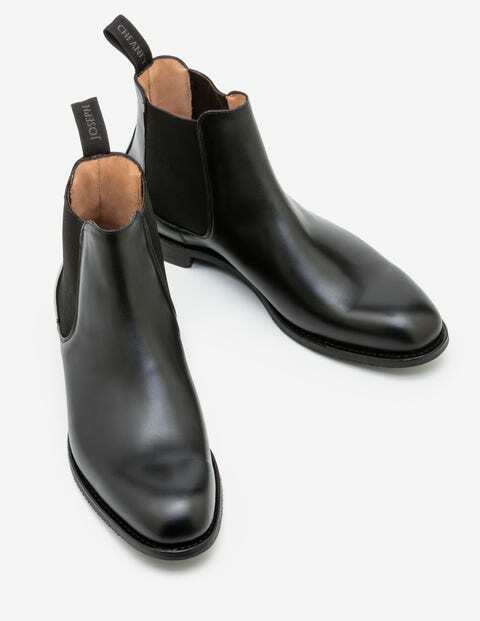 Finished with quality, black, calf leather, they’ve got a comfortable rubber sole and were made to last a lifetime. The webbing tab at the back and elasticated sides ensure they slip on and off with ease, while their sleek silhouette makes them the perfect partner for both denim and tailoring.